Protect Your Child From Hazardous Toys! According to the Consumer Product Safety Commission (CPSC), there were an estimated 235,300 toy‐related injuries treated in emergency rooms in 2008. Here are five steps you can take to reduce the risk of toy‐related injuries in your home. #1: Always check toys for age‐appropriateness. Do not allow children under 6 to play with small toys or toys with small parts. Remove any toy or game that include marbles, coins, balls, or any tiny parts that could become a choking hazard if swallowed. Look for toys that are sturdy enough to withstand pulling and twisting. Make sure that eyes, noses, buttons, and other small parts that could break off are securely attached. Make sure squeeze toys, rattles, and teethers are large enough that they won't become lodged in a child's mouth or throat, even if squeezed into a smaller compressed shape. Avoid toys with cords or long strings which could present strangulation hazards to infants and very young children. Avoid thin plastic toys that might break into small pieces and leave jagged edges that could cut. Toys such as bicycles, scooters, skateboards, and inline skates should never be used without certified helmets and other recommended safety gear, like hand, wrist and shin guards. Toy darts or arrows should have soft tips or suction cups at the end, NEVER hard points. Electric toys that are improperly constructed, wired or misused can shock or burn. Electric toys should be labeled UL, meaning they meet safety standards set by Underwriters Laboratories. #2: Read the instructions to understand exactly how the toy works. Make sure that all directions are clear to you. 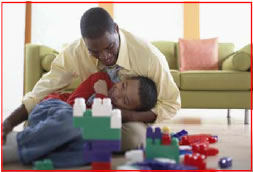 Actively supervise your child’s use of the toy to make sure they understand its proper use. And always save directions, warranties and assembly hardware. #3: Examine the toy physically to make sure it is safe and in good working condition. Check toys carefully on a regular basis for damaged parts, sharp edges or other potential dangers. Make sure that all parts are sturdy and tightly secured. Broken toys should be repaired immediately or disposed of. Stuffed animals or dolls should be washable. Painted toys should be covered with lead‐free paint. Art materials should say non‐toxic. Wooden toys should be smooth and splinter free. Store outdoor toys in weather protected areas and examine regularly for rust or weak parts that could become hazardous. Loud noises can damage a child’s hearing. Check any toys that talk or make noise to make sure they are not too loud for children’s small, sensitive ears. #4: Keep toys designed for older children out of younger children’s reach. Teach older children to keep their toys away from younger siblings. Especially small balls (under 1.75 inches in diameter) and latex balloons. Children under eight can choke or suffocate on uninflated or broken balloons. #5: Check for Toy Recalls and Report Unsafe Toys. The U.S Consumer Product Safety Commission (CPSC) is an independent federal regulatory agency created to protect the public from unreasonable risks of serious injury or death from thousands of types of consumer products. An important part of this mission is to inform the public about product hazards. CPSC recalls numerous toys and children’s products each year. Go to www.recalls.gov for an archive of recalls and to sign up to receive email alerts of new recalls. Protecting children from unsafe toys is everyone’s responsibility! Please report any product hazard or product‐related injury to the U.S. Consumer Product Safety Commission by calling their tollfree hotline at 1‐800‐638‐2772 or you may visit the CPSC at www.cpsc.gov. More children suffocate on uninflated and broken balloons than any other type of toy! 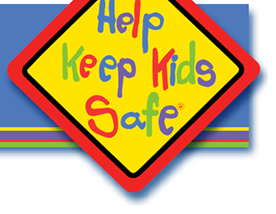 For more information on toy recalls, evaluating toy safety, and to register for Free Safety Alerts, visit Montlick.com or HelpKeepKidsSafe.org and click on: Family Safety and Legal Tips.